House Floor. The House is in recess, with occasional pro forma sessions and no votes until the evening of November 13, one week after the midterm elections. 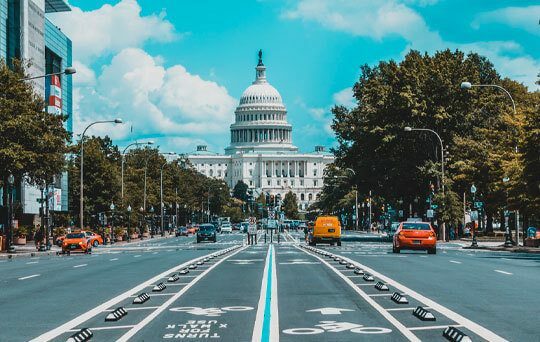 Last week the House approved three tax bills, two FAA bills (a short- and a long-term measure), the FY 2019 Defense/Labor-HHS-Education appropriations bill, and an opioids bill. Senate Floor. The Senate is in session this week and is expected to give final approval to a five-year FAA reauthorization and a package of proposals to combat the opioid crisis. The FAA is currently operating under a short-term reauthorization until Oct. 7. Of course, the Senate vote that is drawing the most attention is on the nomination of Brett Kavanaugh to the Supreme Court. Kavanaugh Nomination. Friday evening the Senate approved the motion to proceed to Kavanaugh’s nomination. This brings the nomination to the floor and opens up debate. A cloture vote to limit debate will be delayed until the FBI has completed its investigation. Both the cloture vote and the final vote need only 51 votes for approval. According to Majority Leader McConnell’s office, the cloture vote limiting debate (to a maximum of 30 hours) is expected to take place on Friday. If the cloture motion is approved, a confirmation vote could take place as early as Saturday or Sunday. Government Funding. Two minibuses have been enacted; the first combined Military Construction-VA, Energy and Water, and Legislative Branch, and the second paired Defense with Labor-HHS-Education. The rest of the government is being funded through a continuing resolution through Dec. 7 that was included in the Defense/Labor-HHS bill. Negotiators had hoped to finalize a third minibus before the House recessed --- a bill combining Interior-Environment, Financial Services, Transportation-HUD, and Agriculture-FDA – but time ran out. NAFTA Negotiations. There’s a new set of initials in the trade world. NAFTA has been replaced by USMCA --- the United States-Mexico-Canada Agreement. Late Sunday night, Canada resolved outstanding issues with the U.S., allowing the text of the agreement to be posted on Sept. 30. Under the Trade Promotion Authority (TPA) timeline, the three countries are set to sign the agreement at the end of November. This, in turn, clears the way for Congressional consideration --- probably early next year --- of legislation to implement the agreement. Farm Bill. Congress failed to approve either a long- or short-term extension of the 2014 farm bill by the Sept. 30 deadline. Many of the major programs authorized by the farm bill can continue without disruption, but other programs will no longer have funding and it is unclear how that will be handled since the House has left town until November. Big Picture. Last Thursday’s Senate Judiciary Committee hearing has further cemented support for and opposition to Judge Kavanaugh’s nomination along party lines. According to a new CBS News / YouGov poll, 74% of Republicans believe Kavanaugh’s testimony while 73% of Democrats believe Dr. Blasey Ford; 35% of respondents believe Kavanaugh should be confirmed (a 3% increase from before the second hearing) while 37% of respondents believe he should not be confirmed (a 7% increase); 28% of the respondents are undecided, compared to 38% undecided prior to last week’s hearing. Both parties will work hard down the stretch to use the confirmation fight as ammunition to help drive voter turnout. Factoid #1. The number of veterans in the House has dropped dramatically from years past. The Pew Research Center found that in 2017, veterans made up 19% of the House, compared to 75% 45 years ago. There are now 61 Republican and 19 Democratic veterans serving in the House. In this year’s House races, 94 non-incumbent military veterans — 40 Democrats, 53 Republicans and one independent — have won major party primaries. Factoid #2. Since the beginning of the 115th Congress in 2017, 15 Committee Chairmen (11 House, 4 Senate), the Speaker of the House, 4 House Ranking Members, and the House Democratic Caucus Chairman have either vacated or will vacate their seats come January. Featured House Race -- New Jersey 11. Trump narrowly won this district, edging Clinton 48.8% to 47.9%. Twelve-term GOP Congressman Rodney Frelinghuysen is retiring after just one term as Chairman of the Appropriations Committee. Democrat Mikie Sherrill is a former Navy helicopter pilot and federal prosecutor who has been a prolific fundraiser, having raised $4.2 million so far. Her $1.9 million in the second quarter of 2018 set a record for the most money raised by a House candidate from New Jersey in one quarter. Republican candidate state Assemblyman Jay Webber is a lawyer by trade and former chair of the New Jersey Republican Party. Weber came out of a highly contested primary with a slim war chest of $171,000 cash on hand. Sherrill’s large war chest, in addition to her impressive resume, has pushed her race to the Lean Democrat category over the past few weeks. Featured Senate Race -- Missouri. The race for the Missouri Senate seat has flown under the radar over the past few weeks. Democratic incumbent Senator Claire McCaskill has walked a tightrope, trying to balance her strong opposition to President Trump’s Supreme Court nomination, trade tariffs, and tax cuts with efforts to keep the support of those rural Missouri communities that voted heavily for the President in 2016. The Republican challenger, state Attorney General Josh Hawley, has repeatedly focused on McCaskill’s opposition to the President but has not been able to fully capitalize on that in a state that President Trump won by 20+ points. The RealClearPolitics average of polls has Hawley at +1 over the past month. The polls have begun to move towards Hawley’s favor after Senator McCaskill came out in opposition to Brett Kavanaugh for the Supreme Court. While McCaskill holds a huge fundraising advantage ($22 million vs. $5 million), the Missouri election will likely be decided by voter turnout in urban centers, which are McCaskill’s strongholds, and whether she can carry the Republican undecided voters as she’s done in the past.